25cm Doc McStuffin plush character. Cute and cuddly, this plush is bright, colourful and high quality. Great fun and an ideal playmate…. This toy costs approximately £9.99 (for the latest and best prices make sure you check our retailer list for the Doc McStuffins Plush 25cm above). 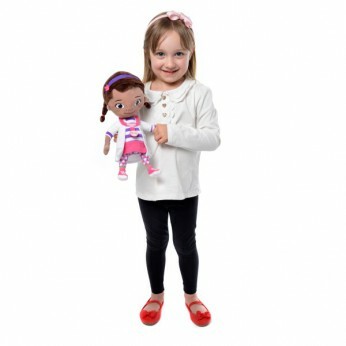 In our review of Doc McStuffins Plush 25cm we classed it as being suitable for ages 3 years, 4 years, 5 years but recommend you check the manufacturer specific advice before purchasing.